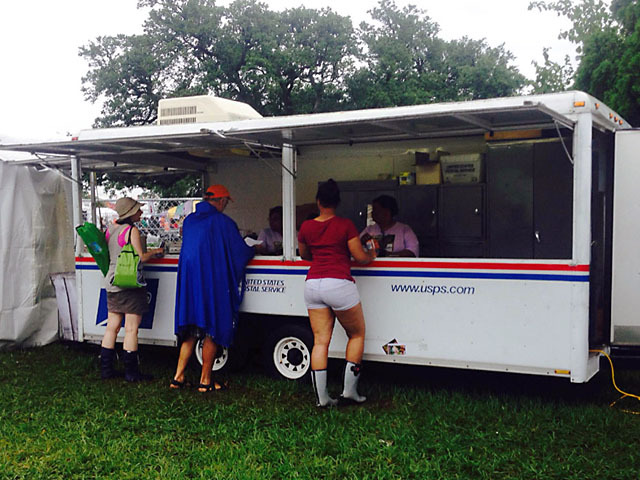 In May 2014 Judy Walker of the The Times-Picayune reported (quite nicely) on the pop-up post office that appears at Jazz Fest and several other events around New Orleans. Technically it's a USPS Mobile Unit, a fully-loaded truck that can sell items of philatelic interest such as stamps and commemorative covers though it handles full packaging and shipping services as well. 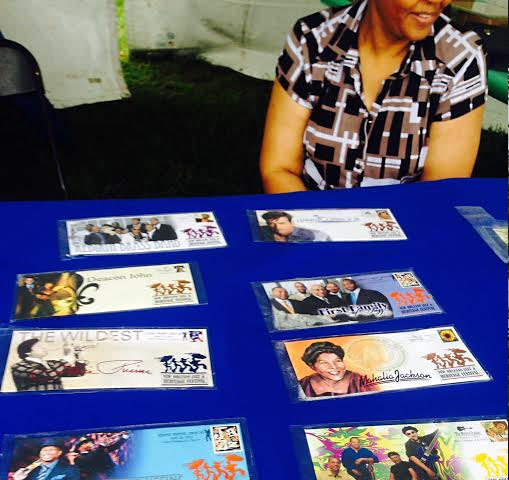 A special pictorial cancellation is available for each day of the event. This is a proud addition to my postmark collection! Can't make it down for the big event? Walker reports that "you might recognize these folks if you are a customer at the downtown New Orleans post office on Loyola Avenue, their regular place of work." 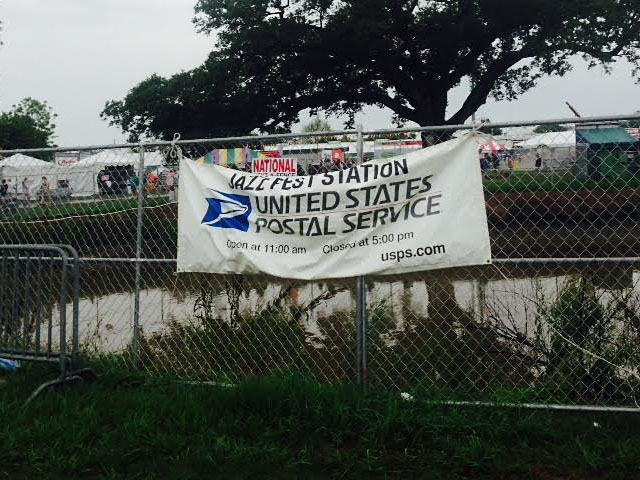 Though other celebrations in the area also receive a postal presence: "The mobile unit sets up for Jazz Fest, Essence Fest, the Voodoo Experience, and, sometimes, at large conventions ..."
Read the full article to find out about some of the more interesting items that get mailed at the Mobile Unit.